The Sri Lanka Gem and Jewellery Association yesterday welcomed a directive by President Maithripala Sirisena to prohibit local companies entering into joint ventures with foreign gem mining companies, claiming it could lower market value and result in environmental degradation. 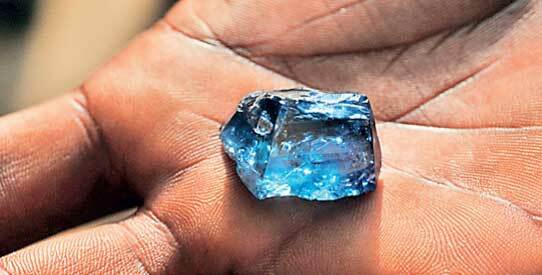 The Sri Lankan gem companies claim involvement of foreign companies could result in large scale mining that would be detrimental to the environment and want Government involvement in stopping existing or potential joint ventures. The President, during a discussion with industry stakeholders last week, was informed of moves by foreign companies who intended on mining gems through local companies. The statement claimed 100 acres of land has been purchased by companies in Dodampe, Paradise Estate in Kuruwita, and in the Karangoda area in the district. Chairman of the National Gem and Jewellery Authority (NGJA) Asanka Welagedara said that the President has been given a detailed report warning of potential dangers of foreign companies who were already staking their interest in Sri Lanka. Stakeholders in the industry were increasingly concerned following a recent announcement in a Singapore auction that unpolished Sri Lankan gems would be made available at next year’s auction. A task force comprising of Government officials would be appointed to monitor and prevent entry of foreign companies from getting involved in gem mining locally, the statement added. “Several international gem dealers have voiced their concerns about foreign companies being involved in operations locally, as they are holding large stocks of sapphires and fear the fallout from potential supply increases,” Iqbal added. Iqbal has conveyed these sentiments through ICA, which the Sri Lankan Gem and Jewellery Association is a member. ICA has widely shared the bulletin with their members globally.